Jersey have signed South African full-back Ross Jones-Davies. 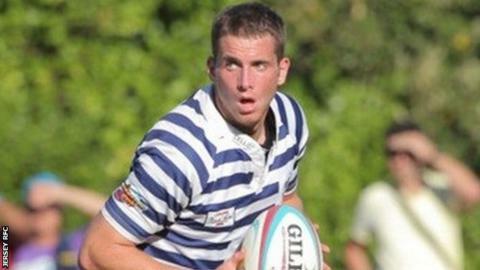 Jones-Davies played student rugby for the University of Cape Town and was brought up in England having moved to the UK when he was five years old. "Ross is a real talent whose elusive running and kicking game will provide an exciting option for our back-line," said Jersey boss Harvey Biljon. Davies played for Surrey Under-18s and also represented Cobham as a teenager. "He will now get the chance to develop his career in a professional environment and I'm looking forward to working with him," added Biljon.